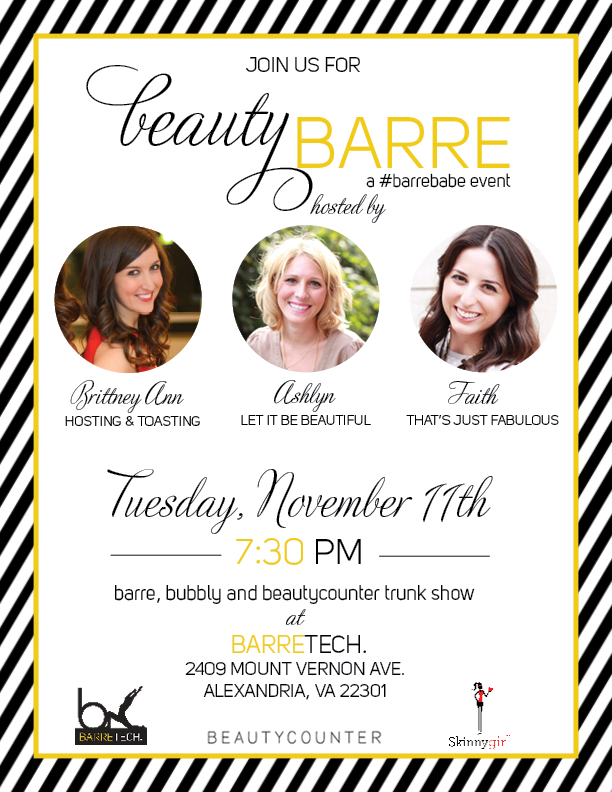 Calling all of my DC, Virginia, and Maryland ladies...Ashlyn, Brittney, and I are hosting an exciting event next Tuesday at the fabulous BarreTech studios. If you follow along my social media accounts you may have seen me posting about my early morning workouts as of late. Next Tuesday evening we are giving you all the opportunity to hang with us in a fun barre class followed by bubbly and beauty via BeautyCounter. Be sure to sign up as soon as possible since space is limited. Sign up is easy...just click the link below.